"Considering, that Nagorno Karabagh was historically a part of Armenia, that currently over 80% of its population are Armenians, that this region was annexed by Azerbaijan in 1923 and that in February 1988 Armenians suffered from a massacre in the Azeri city of Sumgait, Considering that aggravation of political situation, having caused mass killings of Armenians in Sumgait and atrocities in Baku, is dangerous for Armenians living in Azerbaijan, Condemns brutality and pressure used against Armenian protesters in Azerbaijan". The Nagorno Karabakh problem was transformed from a series of peaceful demonstrations to a militarized conflict because of the Azerbaijani government’s violent and repressive response to a people’s orderly call for self-determination. The most violent and obviously political instance of this response are the massacres which took place on three days in February 1988 in the town of Sumgait, miles away from the territory of Nagorno Karabakh and the peaceful calls for self-determination. The violence against Armenians in Sumgait changed the nature of the Karabakh conflict. The consequences were lost territories and homeless refugees which are expressions and manifestations of the conflict, and not its causes. There were no refugees and no territorial issues when the people of Nagorno Karabakh followed all necessary, legal steps, to opt for self-determination, in accordance with the legislation of the time. The response was military aggression. It is very telling that a sovereign government responded to its own citizens’ democratic actions using arms. Moreover, the violent, military response was not even directed against the population of Nagorno Karabakh, (at least at first) but against Armenians in Sumgait and Baku, miles away from the territory and population of Nagorno Karabakh. 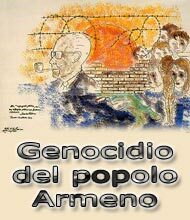 The pogroms of Armenians in Sumgait in February 1988 have the dubious honor of being the first -- the first time that ethnic cleansing was utilized in what was still Soviet space – even before this scourge of modern humanity reared its head in the Balkans. The Armenians who were driven out of Sumgait were the first refugees in the former Soviet Union. The assault of a sovereign government against its citizens continued. In May 1988 in Shushi, the local authorities initiated the deportation of Armenians living in that hilltop city from which Karabakh’s largest city, Stepanakert, was to be so easily shelled for the next several years. By September 1998, the last Armenians were ousted from Shushi. In the same year, Armenians were killed and wounded in the village of Khojali. In November and December 1988, a wave of Armenian pogroms swept Azerbaijan. The worst took place in Baku, Kirovabad (Ganja), Shemakh, Shamkhor, Mingechaur and Nakhichevan. The Soviet press described how, in Kirovabad, perpetrators broke in a hospice for the elderly, captured and subsequently killed 12 helpless old Armenian men and women, including several disabled ones. In the winter of 1988, all Armenians were deported from dozens of Armenian villages in Azerbaijan. The same fate befell more than 40 Armenian settlements in the northern part of Karabagh – outside the borders of the autonomous region which was demanding self-determination – including the mountainous regions of Khanlar, Dashkesan, Shamkhor and Kedabek provinces. The 40,000 Armenians of Azerbaijan’s third largest city, Ganja, were also forcibly removed from their homes. When it was over, there were less than 50,000 Armenians left in Baku, out of a total population of 215,000. Throughout 1989, sporadic attacks, beatings, looting and massacres in Baku reduced that number to 30,000 – mostly the elderly who could not leave Baku. By early January 1990, Armenian pogroms in Baku intensified and became more organized. On 13 January, a crowd 50,000-strong left a rally, broke into groups and started methodically, house by house, ‘cleansing’ the city of its Armenians. Pogroms continued until 15 January. The total number of casualties during the first three days amounted to 33 people. The Soviet press had daily reports of indescribable horror – dissecting bodies, ripping open the abdomens of pregnant women, burning people alive – with a daily tally of murders in full view of the authorities. Russia’s Soyuz magazine reported that one man was literally torn apart, and his remains thrown in a garbage container. According to various sources, several hundred Armenians were killed. The remainder, mostly older Armenians, were forcibly removed – with many dying during and after deportation. Pogroms continued until 20 January when army troops were brought to Baku. By then, the city was fully ‘liberated’ from ‘Armenian elements’ except for a couple of hundred Armenians in mixed-marriages. During the military conflict over Nagorno Karabagh, the latter were literally ‘fished out’ for exchange with Azeri POWs. While everything possible was done to conceal and distort the circumstances of the crimes committed in Sumgait, documentary evidence, witness testimonies and other facts collected to date call for a quite straightforward conclusion: the pogroms were organized and carried out by the authorities of Soviet Azerbaijan. George Soros spoke about this in Moscow Znamya Journal (Issue #6, 1989). He actually confirmed that the first Armenian pogroms in Azerbaijan were instigated by local bands, managed by the then First Secretary of the Central Committee of the Communist Party, and the future President, of Azerbaijan, Heidar Aliev. The Azeri leadership, then and now, never expressed remorse over the ethnic cleansing and massacres of the Armenians of Azerbaijan, or the Armenians of Karabakh. According to Ilias Izmailov, Azerbaijan’s Prosecutor General during the Sumgait pogroms, “Perpetrators of the pogroms now carry mandates and sit in the Parliament,” (Zerkalo, 21 February 2003). The Azeri state and its leadership were not then and are not now concerned with the safety and well-being of its Armenian citizens. Given Azerbaijan's actions before and following independence, there is no reason to doubt that had the Armenians of Nagorno Karabakh not called for self-determination in 1988, then today, they would have had the same fate as the Armenians of Nakhichevan. Azerbaijan presents itself as the victim, citing facts on the ground today. However, it must be noted that the facts on the ground as presented by Azerbaijan are distorted. There are refugees and territorial losses on both sides. The Armenian side has a refugee problem of 400,000 – almost equal to Azerbaijan’s refugees. Territories fully populated by Armenians – such as Shahumian and Northern Martakert are under the control of Azeris. Indeed, today’s facts on the ground are the consequences of a cycle of violence and intolerance that began with Azerbaijan’s suppression of the calls to peaceful self-determination. Azerbaijan, then, is a victim of its own aggression and Armenians are the victims of Azerbaijani aggression.